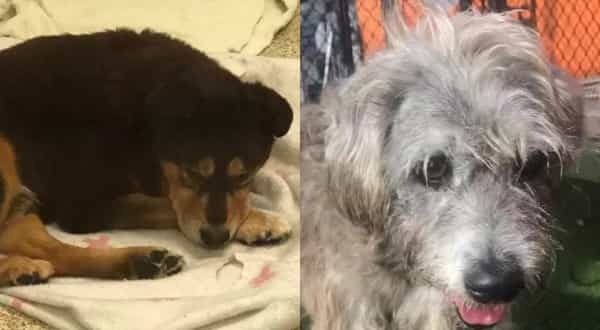 What could be more heartbreaking than a series of unfortunate events for two bonded senior dogs who thought they would remain with their families forever? Instead the two terrified and heartbroken dogs were surrendered to Miami-Dade Animal Services by their owner, and to make life even more tragic for the sweet dogs – they have been separated – they and cry and whine to be reunited. To make matters worse, Rex was DUMPED with his BEST FRIEND Jerry #A0886121 and they are separated at the shelter‼️ Please give these two bonded seniors a home where they can live together and enjoy being LOVED by a furever family. These poor souls thought they would remain with their family until their last day. Sadly, they were betrayed and they desperately need your help. 1 Response to "Terrified and heartbroken bonded senior dumped at deadly miami shelter"